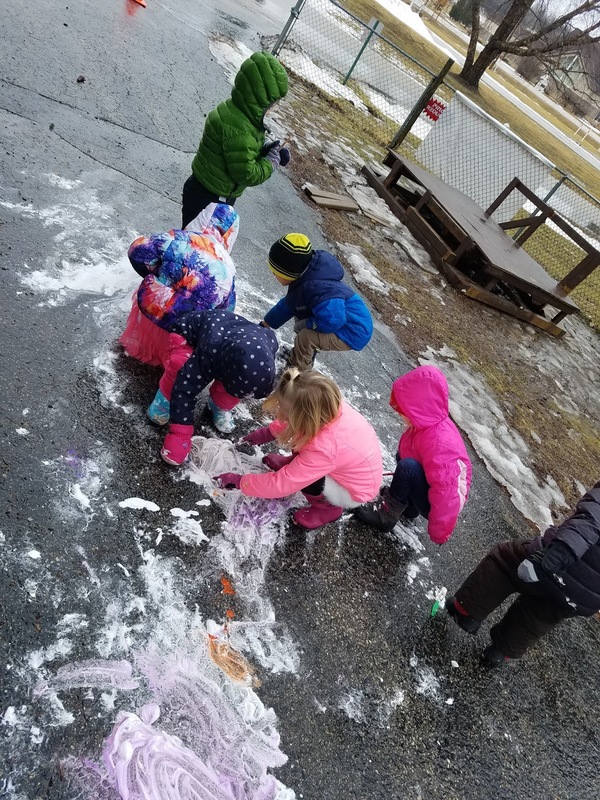 The rain did not stop prek from outdoor adventures! 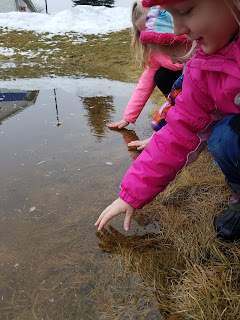 An investigation at the retention pond let to the discovery of litter, icy cold water, and mini icebergs. Shaving cream and paint are also very easy clean up on rainy days!